This is why for almost 20 years the Nature Conservancy of Canada (NCC) has been working to conserve this special place. To date, NCC has conserved over 1,000 acres (390 hectares) of globally rare shoreline, alvar and forest habitat, representing more than 10 per cent of the island. Currently, we have an extraordinary opportunity to restore an important natural legacy on Pelee Island. Over the next three years, NCC will create a massive 62-acre (25-hectare) wetland, restore 20 acres (8 hectares) of upland habitat, tackle invasive phragmites, and create new trails and signage to welcome island visitors and the local community to this special place. 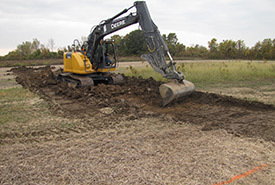 This ambitious wetland project is on top of our annual management, native seed collections, invasive species removal, contractors, interns, staff time and more, which costs approximately $140,000 each year. The total cost over the next three years will be $750,000, and we urgently need to raise $450,000 to ensure that Pelee Island can thrive, continue to support an abundance of rare and at-risk species and be a place of beauty for all to enjoy. The most southerly inhabited part of Canada, Pelee Island is the largest of the Canadian Western Lake Erie Islands, an archipelago of 22 islands spanning the border of Ohio and Ontario. The nine Canadian islands are among the most biologically diverse areas in Canada and support a high density of rare species. The islands also form two globally significant Important Bird Areas. Pelee Island is home to many rare and at-risk species, including monarch, gray fox, yellow-breasted chat, blue ash, Lake Erie watersnake and blue racer snake. Some of these species are at the northern edge of their range, meaning that in Canada they are only found on Pelee Island. 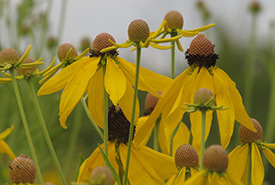 Almost 10 years ago, NCC began to transform former agricultural fields into thriving native meadows and small wetlands. In many places these marginal agricultural lands were already quite wet — and it was clear to our conservation staff that they were once wetlands. 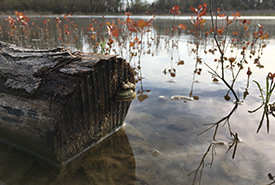 These restored habitats are now teeming with wildlife, including species at risk, such as monarch and snapping turtle. NCC and Ducks Unlimited Canada are partnering to create an extensive 62-acre (25-hectare) wetland on Pelee Island. Drained in the late 1800s, this former marsh once sheltered migratory songbirds and waterfowl. 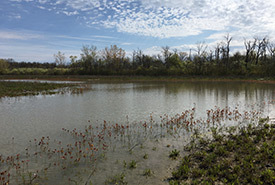 When complete, the wetland will support migratory birds, turtles, salamanders and a multitude of other species. The wetland will also provide critically important water retention, filtration and flood mitigation to the local community. 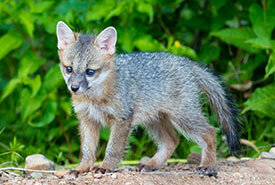 Help NCC create its biggest wetland yet!